Kumbha Mela derives its name from the Immortalizing Pot of Nectar. In the Sanskrit Language,Kumbh means "POT" or "JAR" or sometimes referred as "KALASA" and Mela means "Festival". Kumbha Mela has gained International Fame as "the world's largest act of faith". 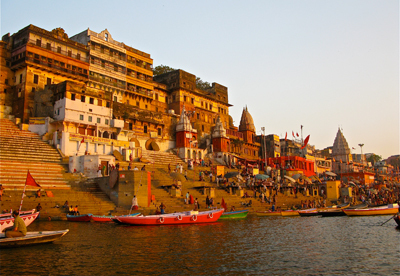 Kumbh Mela 2013 will be celebrated in Allahabad (Prayag), Uttar pradesh State , India and starts from 27 January 2013 to 15 February 2013. When does Kumbh Mela take Place / Happen..
Kumbha Mela takes place depending on the position of the Planet Jupiter(Bruhaspati) and the Sun. According to the calculations made from the Rig Veda, the Sun (planet) moves from one of the twelve signs (12) in the Zodiac to another, twelve times within a period of 365 days(i.e.the Sun remains one month in each sign of Zodiac). Jupiter however remains for one full year (1) in each of the twelve signs of the Zodiac before moving onto the another sign of the Zodiac. Thus when jupiter enters the Sign of Aries(Mesha Rasi) and Sun enters the Sign of Capricorn(Makara Rasi) simultaneously and this combination occurs once in twelve years. This configuration is called KUMBHA Snana-Yoga and it sets the time for observing the Kumbh Mela. Kumbha Mela is celebrated at Four (4) different places in India depending on the position of the Planet Jupiter(Brhaspati) and the Sun. 1. When Jupiter and the Sun are in the Zodiac Sign Leo(Simha Rasi), the Kumbh Mela will be celebrated in NASIK, Maharastra State. 2. When Jupiter enters Aquarius(Kumbha Rasi) and the Sun enters in Aries(Mesha Rasi) then Kumbha mela celebrates at HARIDWAR, Uttarakhand State. 3. When Jupiter is in Tauris(Vrishabha Rasi) and the Sun is in Capricorn(Makara Rasi), the Kumbh Mela will be held at ALLAHABAD(PRAYAG), UttarPradesh State.This zodiac combination will be occurred in 2013 and Kumbh Mela will be celebrated in Allahabad from 27 January 2013 to 15 February 2013 . 4. When Jupiter and the Sun are in Scorpio(Vrishchik Rasi), then the Kumbha Mela festival held in UJJAIN, Madhya Pradesh State. In a span of 12 years the above said 4 Zodiac combinations occur one time each and therefore four times Kumbh Mela will be celebrated between four pilgrimage places(Allahabad,Haridwar,Nasik and Ujjain) on four sacred rivers. Next Maha Kumbh Mela will be in 2015 at Nasik from 15 August 2015 to 13 September 2015.